Today Ubisoft announced the release of Prince of Persia The Forgotten Sands for the Xbox 360, the PlayStation 3, the PSP, the Wii system from Nintendo, the Nintendo DSi and Nintendo DS systems – all now available on store shelves. 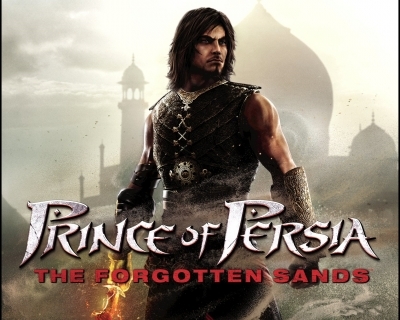 Prince of Persia The Forgotten Sands expands the Prince of Persia universe with a new storyline, the introduction of new characters and epic new powers over nature and time. The game takes place between Prince of Persia The Sands of Time and Prince of Persia Warrior Within. Prince of Persia The Forgotten Sands is rated “T” for Teen by the ESRB for Xbox 360, PlayStation 3, Wii, and the PSP versions. The DS version is rated “E 10+” for Everyone aged 10 and up. The game carries an MRSP of $59.99 for Xbox 360 and PlayStation 3 system, $49.99 for Wii, $39.99 for PSP system, and $29.99 for Nintendo DS and Nintendo DSi.